Here we are on the last day of our Dairy-Free Recipe Potluck – the 21-Day Dairy-Free Challenge starts tomorrow (you can join anytime)! To wrap things up, I have a healthy yet satisfying recipe from my own kitchen: creamy anti-inflammatory salad dressing. We’ve had quite a bit of dessert inspiration lately, but I know everyday life calls for scrumptious ways to enjoy savory foods, too. This creamy anti-inflammatory salad dressing delivers with just a little sweet, a little savory, a little tangy, a little spicy and a whole lot of satisfying and nutritious versatility. It was over a decade ago that I first read about anti-inflammation in the book The Inflammation Syndrome by Jack Challem. The term has continued to pop up from time to time on healthy diet chats and posts, but this year, it’s really gaining steam. 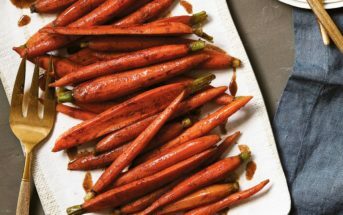 At the Fancy Food Show, foods like turmeric were abuzz and just last week, my husband’s doctor recommended he incorporate some more anti-inflammatory foods into his diet. 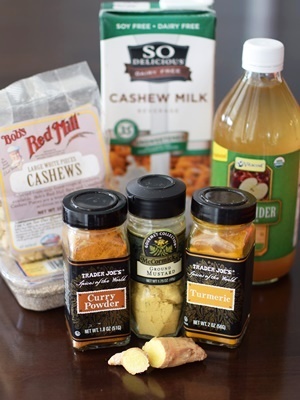 Raw Cashews – Found in studies and observations to have protective anti-inflammatory compounds. Chia Seeds – These new darlings have a wonderful Omega ratio and are even pretty darn rich in calcium. Cashew Milk – Same goodness as cashews and it provides a little extra body and rich flavor. Apple Cider Vinegar – Beloved in natural circles, it is a more controversial food, but even the medical community recognizes it’s probiotic properties. Honey – Topically a fantastic inflammation fighter, and studies have shown equivalent potential for coating the throat. But strict vegans can substitute agave nectar! Ginger – Contains it’s very own potent anti-inflammatory compounds called gingerols – no joke! Turmeric – A new superstar against inflammation – shown to have positive effects in digestive conditions and battling cancer, too! Black Pepper – Helps to significantly increase the bioavailability of turmeric. Curry Powder – More ginger, turmeric, and pepper bundled with a smattering of other healthy spices. 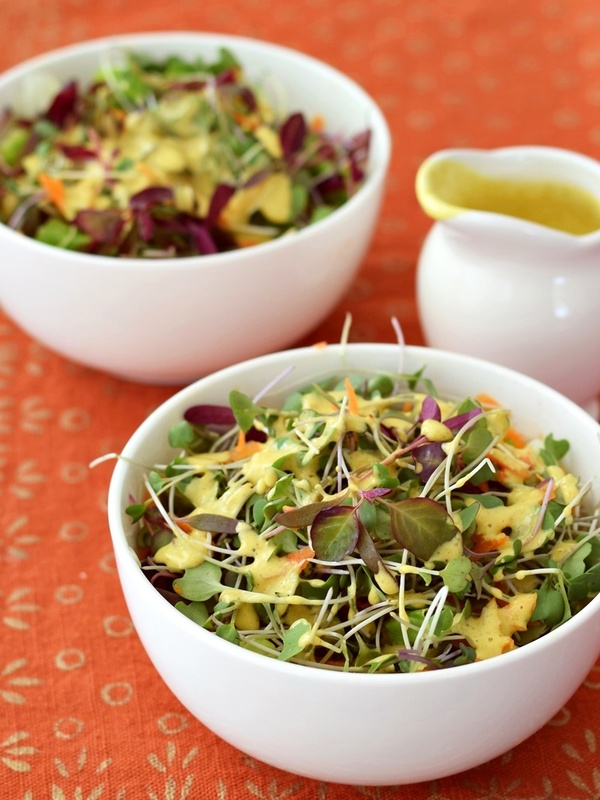 Mustard – Studies have shown that this ingredient can up the cancer-fighting skills of cruciferous veggies – a must if you serve the creamy anti-inflammatory salad dressing atop kale or broccoli. Plus, it rounds out the flavor. And using this cashew milk and chia blend in place of typical mayo not only pumps up the nutrition, but it also leaves you with generously sized low-fat, oil-free servings – just 5 to 6 grams of fat per full 3 tablespoons! 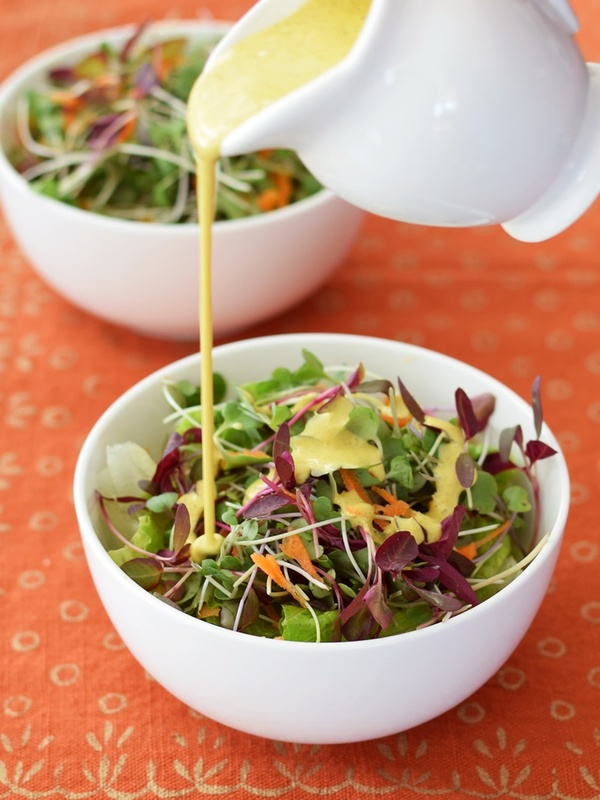 Enjoy this creamy anti-inflammatory salad dressing atop your favorite salad greens, or drizzle it over steamed cauliflower or potatoes. It can be served at room temperature, or if you opt to gently heat it as a sauce, note that it will thicken even more. Place the cashews and chia seeds in a spice grinder or small food processor and grind into a powder. It's okay if it begins to clump. Put the cashew-chia mixture in your blender with about half of the cashew milk. 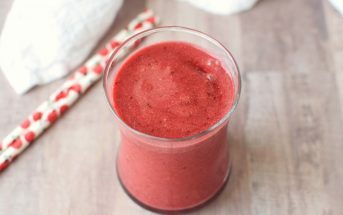 Blend until smooth, about 30 to 60 seconds. Add the remaining cashew milk, vinegar, honey or agave, turmeric, ginger, curry (to taste), mustard, salt, and pepper. Puree for about 60 seconds more, or until nice and smooth. Taste, and adjust seasonings, if desired. I though it was necessary to soak raw cashews to remove toxic outer coating before eating. It is up to you on if you want to soak nuts to aide in digestion. “Raw” cashews are actually steamed to remove toxins. I didn’t know that. Thanks! I made the dressing today. Haven’t tried it yet. I hope you enjoy it Sharon! You may want to research this more. I think the steaming is only meant to free them from bacteria that cause illness. The soaking removes some of the anti nutrients. Cashews have one of the highest amounts. Thanks you so much for bringing this up again Carol, as I have researched it further since doing this recipe. To clarify, I wasn’t stating that the steaming does the same thing as soaking – but rather that they aren’t truly “raw” because they are steamed. You are definitely welcome to soak them if you wish, but the dressing won’t be as thick. It is the thickening agent in this recipe. Keep in mind that the whole batch contains less than 1 ounce of cashews – 4 servings (less than .25 ounce per serving). If you are concerned about even small amounts of nuts in terms of phytic acid, then it is best to avoid nut butters and snacking nuts, too, unless the nuts are sprouted or soaked and dehydrated. For nut heavy recipes, I do soak, but for recipes like this, I note what most of the research states on moderation. I hope that helps! The doctor just put me on strict paleo. You mention it can be modified to be “strict “. Looking at the ingredients and being new to paleo, only about 9weeks in… I don’t see the difference. Can you please help on what would be different? I have a couple autoimmune diseases and I’m trying to see if Paleo will help. Thank you! Hi Enid, I don’t believe the store-bought cashew milk is strictly paleo (it’s close, but may have some additives that aren’t approved). 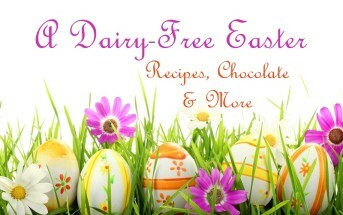 You can use homemade cashew milk or light coconut milk thinned a touch for strict paleo. What amount of stevia would you suggest people use who cannot use honey? Here’s an easy stevia conversion chart that should help you out K! Don’t see a chart or a link to one here. This would be very useful to have. I may be a year late to comment but I just made this dressing last night. I had of the ingredients on hand and threw everything in my Vitamix exactly as written, well except I cut the honey in half and just eyeballed the ginger and cut a chunk off. It was absolutely delicious and I could barely keep from eating it all directly from the spoon! For my own tastes, I ended up about doubling the ginger as I enjoy a bit of kick and I was thinking that I’d cut the curry a little next time but the more I tasted it the more I liked it. My husband and I had it on our salads last night and I just used some to ‘dip’ some crudité in for lunch…again delicious! Thanks so much for the recipe. Recipes are timeless, you’re never too late Carrie! I still make this one, too. So glad you and your husband enjoyed it and love your modifications – thank you for sharing! Is this dressing really spicy? No, it’s just a little spicy and it isn’t “hot” spicy. Any spice is from the ginger and small amount of curry. I love all the good-for-you ingredients in this creamy looking dressing. Cashews + cashew milk = yummy! Wow, this looks so good. I love the creaminess you can get from cashews. Can’t wait to try it! I’m wondering if I could replace the cashew milk with almond milk just one time? I have the almond milk, and all of the other ingredients, but the weather is yucky out there, and I don’t want to go out for the cashew milk! Yes, unsweetened almond milk should work fine! This looks great! How long do you suppose it would stay in the fridge? If I made a batch would I be able to use it over the course of the week? It keeps at least a few days – a week, possibly, but I’m not a great storage expert on this stuff 🙂 I usually make the dressings every few days. This looks great! I need to start eating more anti-inflammatory foods because I get bloated SO easily. I keep reading about turmeric and it’s benefits/probiotic benefits, so I’ll have to pick that up next time I’m at the grocery store. I know what you mean Patty – it can be hard to keep our stomachs healthy these days! It’s truly shocking how many foods contribute to chronic, systemic inflammation and in turn, how many symptoms and diseases are caused by inflammation! I’ve just re-read the book It Starts With Food (for the 4th time; apparently it takes awhile for nutrition messages to sink in…) and am working to decrease my consumption of inflammatory foods, primarily grains and dairy. Your recipe looks delicious! Ooh, I hadn’t heard of that book. Thanks for sharing Tamara! I cannot wait to make this – my mom is here today (with her two dachshunds, added to my one dachshund, HA! ), and we are roasting veggies for lunch – I am pretty sure I have everything to make this today! Yay! thanks for the recipe – it sounds PERFECT for me! Oh my gosh – it’s a wiener dog party! Sorry, it had to be said 🙂 I hope you enjoy it! This looks and sounds so good! I love cashews (and cashew milk!) and turmeric is one of my all-time favorite spices! So many good benefits! Pinned!